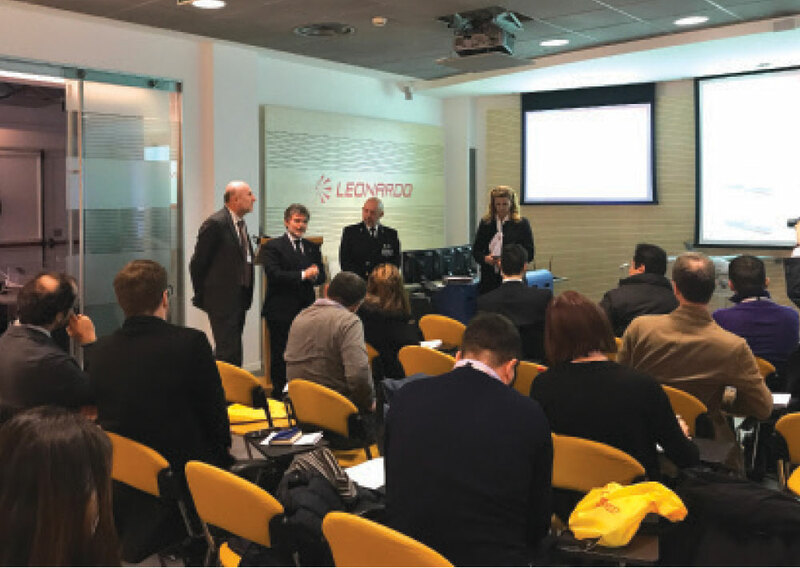 Members of the media were invited to Leonardo’s Press tour on the 27-28th of February, Rome, Fusaro & Arco Felice (Naples). Briefings and site visits provided an upclose and detailed account of Leonardo’s impressive current and future naval capabilities. The second day began with a presentation by Giovanni Cristiano and Michele D’Ursorespectively Production and supply chain director and head of manufacturing and supply chain at Leonardo’s Land and Naval Defence Electronics division. The presentatons, heldat Leonardo’s Fusaro & Arco Felice sites, were followed by a visit to the production, area for the New X-band AESA radar and the IFF (Identification Friend or Foe) secondary radar. Attendees also visited the New combat management system console manufacturing area, the anechoic chamber with the New fire control system. At Leonardo’s Arco Felice site guests were given an opportunity to observe the “ship bridge” technology demonstrator (radar and naval “Cockpit” allowing for the integrated management of sailing and combat system operations). “The aircraft, fixed wing, rotary wing divisions again are engaged in the naval arena. The aircraft division is engaged through the special division ATR 42MP aircraft for maritime patrolling missions.” Mr. Pansini said. The helicopter division has an entire section of state of the art helicopters that are all belonging to navies, providing naval and land versions, a key example of this being the multirole AW101 helicopter. Very interestingly Leonardo is also engaged in realizing remote piloted helicopters in two versions, the light version the AWHero and the heavier which is the Solo. For the AWHero, we won the first action call when the EDA (European Defense Agency) issued a couple of very important bids and we won the most important one in the domain of maritime surveillance, named after OCEAN 2020. We are partnering with 42 partners belonging to 15 countries in Europe and one of the key aspects of this was the integration of a remotely piloted rotary wing platform within the CMS of the vessel. This was one of the key elements that allowed us to win this very tough international competition, particularly against the French competitors. During the US-led multinational exercise Formidable Shield 2017, the KRONOS Grand Naval radar, installed on board of Italy’s “Luigi Rizzo” FREMM Frigate, demonstrated the ability to detect, classify and track with outstanding accuracy the tactical ballistic missiles (TBMs) launched during the live exercise according to the official statement of Leonardo press office on 28th February, 2018. The exercise took place at the UK Ministry of Defence Hebrides Range and involved navies from Italy, Canada, France, Germany, the Netherlands, Spain, the USA and the United Kingdom. The demonstration highlighted the ability of ships from different nations to cooperate in order to defend against airborne threats, both those flying high hundreds of kilometers (ballistic missiles) and those flying just a few dozen meters above sea level (such as anti-ship missiles), at the same time. During the exercise, the KRONOS Grand Naval demonstrated that its multi-functional capabilities allow it to perform several types of operational missions. These include air surveillance and missile defence against traditional aerial threats, maneuvering at a variety of altitudes, and defence against tactical ballistic missiles, whose speed and trajectories are extremely challenging even for modern defensive systems. Additionally, Leonardo’s ATHENA Combat Management System demonstrated its own ability to make use of the KRONOS Grand multi-mission radar effectively in an Integrated Air and Missile Defense (IAMD) environment. ATHENA shared all tracks, including for ballistic missiles, via data link, making the information provided by the KRONOS Grand Naval available in real time to allied ships and improving the ability of the multi-national task force to effectively cooperate. The KRONOS Grand is the most technologically advanced multi-functional radar belonging to the AESA (Active Electronic Scanning Antenna) KRONOS radar family, which can cover a wide range of applications. It is based on a fully solid-state AESA design and is entirely produced by Leonardo in naval and land variants. To date, around 30 KRONOS radar systems have been delivered to domestic Italian customers as well as those in the Middle East, Asia Pacific and South America. KRONOS Grand can be integrated into a defence surveillance network, contributing to overall complete Recognised Air Picture (RAP). When integrated into a surface-to-air missile system, the radar can provide multiple missile uplinks simultaneously. Leonardo’s Combat Management Systems (CMS) equip the units of the Italian Navy and several international naval forces including in the latest those in UAE, Bahrain and Algeria. “For more than 30 years, with the support of the Italian navy, we realized state of the art vessels. There are countries that can be defined as domestic customers for us. We provided combat systems for 4-5 vessel types – these are classes of vessels where we installed the combat systems realized by Leonardo. Qatar is becoming a domestic customer for Leonardo. We won a very huge contract for our combat system for 3 vessel types. Algeria is another key country for us. We sold mine hunting vessels with a combat system that is specialized for this type of mission and we also provided the combat system for LHD, Landing Helicopter Dock, a multipurpose amphibious assault vessel. Leonardo is one of the key players in fire control and weapon control systems, selling their products around the world, and is among the key players in providing IFF radars (Identity Friend or Foe). Touching on the topic of the Naval Version of Software Defined Radio, Mr. Pansini shared “We are finalizing the development of a complete family of software defined radio. There will be a naval SDR – BLOS (beyond the line of sight), short range network communication. It is actually a computer with an antenna. One single piece of equipment that will realize communication. Captain Francesco Gennaro Esposito, Italian Navy General Staff discussed significance of ensuring that seas are secure. The overarching theme of Mr. Esposito’s presentation was the idea that a lack of security on the sea comes at a cost and maritime situational awareness is mandatory. Highlighting that the center of gravity is drifting towards the sea, Mr. Esposito provided eye-opening statistics regarding the significance of maritime activity worldwide: 90% of the total trade is maritime. 80% of world population lives within 200 nm from the coastline. 75% of traffic passes through few, vulnerable channels and international straits. Italy’s role in the Mediterranean: – 8000KM of coastline – 3rd European fishery fleet – 12,700 fishing vessels – 60,000 employees. 19% of the worldwide shipping passes through 1% of world seas. 30% of worldwide crude oil passes through 1% of world seas and 65% of EU energetic resources passes through 1% of world seas. Mr. Esposito discussed the importance of presence and surveillance in that it grants sea lane freedom of communication and port Access, anti-pollution contrast, archeological site protection, strategic site protection, fishery control, migrant flow control, deter and contrast piracy and avoids illicit trafficing. Mr. Esposito provided an overview of Italy’s role in programs for new ships and combat system evolution. Naval Program(s) 2014 provides the building of offshore multipurpose patrol vessels (PPA), an amphibious unit (LHD) and a logistic unit (LSS). 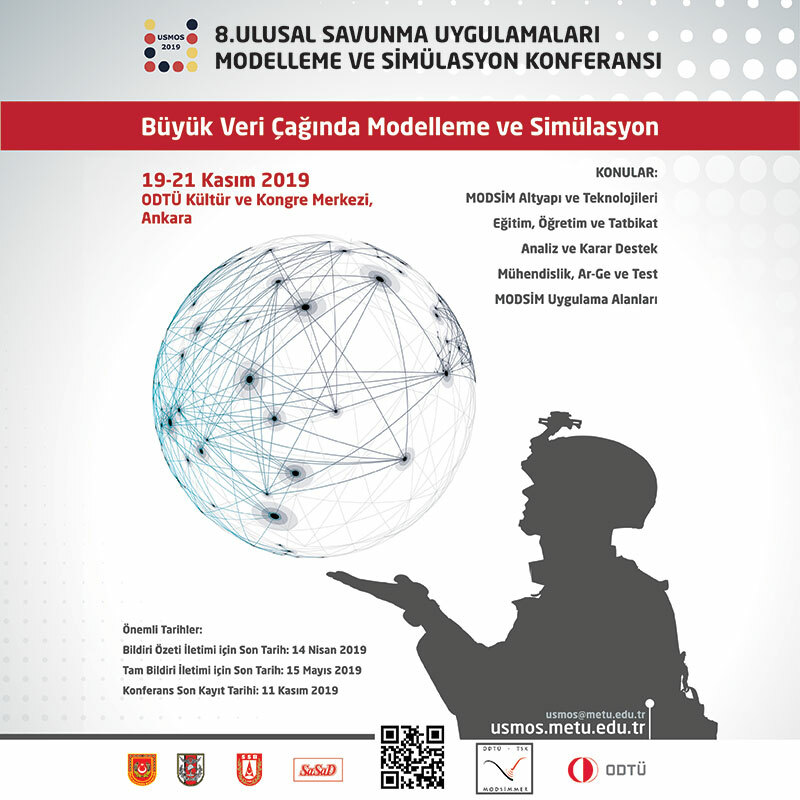 Some of the key features noted is that they are fully interoperable with NATO and EU partners, flexibility and modularity and multipurpose (traditional military tasks – Disaster Relief Assistance Operations). With the multi-functional radar, multi Functionality (Smart System) multiple tasks can be completed (Detection, Tracking, Firing Control System). The radars are capable of operation & integration with other sensors/systems. The distributed Static Surveillance – InfraRed Search and Track (DSS-IRST) Electro-Optical and Infra-Red Search & Track System (4 fixed sensor + 3 moving search heads) provides a panoramic view (360°) and sectorial view in optical (TV) and Infra-Red bands. It is capable of multiple target tracks with autonomous range measurement (passive or by Laser Range Finder). Passive Surveillance features passive detection/identification, passive tracking and passive/active ranging. The target designation capability is effective against target not radar detectable. The 76/62 “STRALES Upper Deck Gun” Gunnery system has a reduced weight with a plug and play installation. With its multifeeding functionality and STRALES ammunition guidance system it is capable of manual and automatic reloading with precision and a high engagement range. Combat system evolution and innovative capabilities include modular design for mission package concept, light weight design and new active-passive sensors for high level of performance. The TDS – Torpedo Detection Sonar «Black Snake» and ATAS – Active Towed Array Sonar were noted. The active-passive suite is designed for multi-static growth potential technology. It features a high-performance detection range for escorting missions. The Torpedo Defence System has an innovative passive sensor and combined jammer for target emulator countermeasures. Leonardo provides latest-generation naval systems to the Italian Navy (Marina Militare) for its new multi-purpose off-shore patrol vessels (PPA), its new Logistics Support Ship (LSS) and its Landing Helicopter Dock (LHD). Notably, Leonardo is responsible for providing the ships with their entire combat systems. These integrate all subsystems including electronics and weapons from MBDA. The multi-purpose off-shore patrol vessel is a highly-flexible ship that can perform a range of tasks including patrol, search and rescue and civil protection operations. In its most extensively equipped form, the PPA can act as a frontline battleship. Operations conducted by PPA ships will include the monitoring of maritime zones, preserving international water rights, counter-terrorism, detecting and interdicting smuggling, helping to control illegal immigration and supporting the Navy’s amphibious operations forces. The vessels will also provide humanitarian assistance, shipwreck recovery and support in the event of disasters. With a modular design, PPA vessels can be equipped in various configurations according to the specific mission it will perform. Contractually, three levels of vessel will be provided, a “light” configuration for patrol missions which also includes integrated self-defence capabilities, a “light- plus” variant and a “full” configuration equipped with the ultimate in defence capabilities. PPA units can also deploy RHIB (Rigid Hull Inflatable Boats) up to 11m long via a side-crane or a stern-located ramp. For PPA, Leonardo provides a new-generation Combat Management System (CMS). Featuring open architecture, the system is modular and reconfigurable, meaning that the same system can be used for different PPA variants and can integrate extra equipment in future should the Navy require it. The instrument panel also includes an innovative new system called “Cockpit” which Leonardo provides in conjunction with Fincantieri. The Cockpit system allows for the integrated management of both ship operations and the vessel’s combat capabilities with the aid of augmented reality, reducing the number of operators required. In the PPA’s “full” configuration, Leonardo will provide a multi-sensor fire control radar (X and Ka band), a new multifunctional Active Electronically Scanned Array radar with four dual-band fixed- face arrays (operating in C and X-bands), Identification Friend or Foe (IFF) sensors and the innovative new ‘static InfraRed Search and Track (IRST)’ (an infrared sensor that detects and tracks targets using non-rotating optical heads placed around the edges of the vessel to ensure continuous 360 degree coverage). The PPA will also be equipped with Leonardo’s integrated communications system that incorporates multi-band satellite systems and the company’s new Software Defined Radio (SDR). For all PPAs, Leonardo will provide its 127/64 LW naval gun, the world’s most advanced large-calibre naval gun. 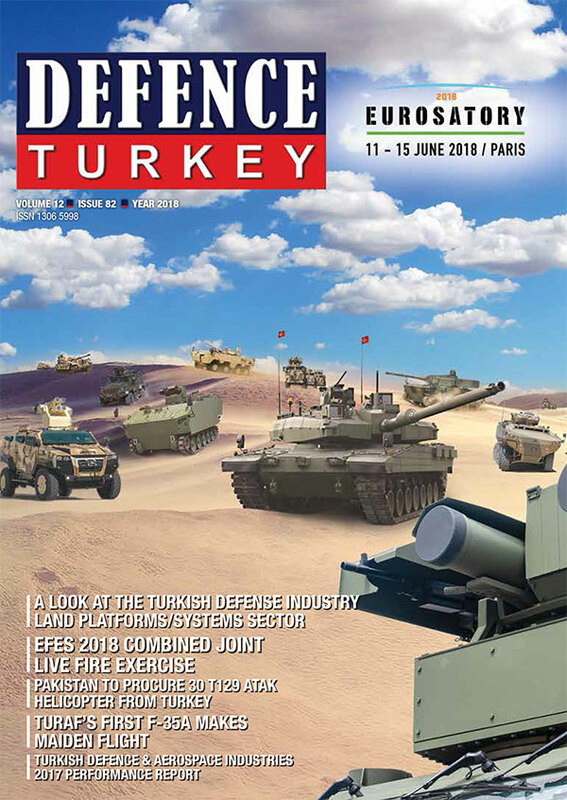 The system comprises a turret, an automatic ammunition feeding system (AAHS), a planning system for fire-support missions (NFCS) and the new Vulcano ammunition. The latter features a fin-stabilised airframe with canard-control and is available in two main variants: a guided (GLR) long-range (100km) version for anti-ship combat or the precision targeting of ground targets and an unguided round (BER) with a programmable fuse for multiple roles, which has a range of 60km. Leonardo will also fit the PPA vessels with small and medium-calibre weapons. In the medium- calibre field, Leonardo will provide the new 76/62 Compact naval gun. A multi-functional weapon, it can be used against air, land, seas and asymmetrical targets. The Compact version, as the name suggests, minimises space requirements by not extending beyond the hull of the ship. It will be equipped with the Strales system, enabling the gun to use DART (Driven Ammunition Reduced Time-of-flight) guided ammunition. Small-calibre 25mm naval turrets will also be provided for close protection or for the interdiction of maritime traffic and in the fight against smuggling operations. The PPA in its “full” configuration will be equipped with Leonardo’s ODLS 20 decoy launching system. This allows for the accurate deployment of decoys, providing passive defence against radar and IR homing missiles as well as assisting with Anti-Submarine Warfare (ASW). Leonardo will also provide the ship’s Patrol torpedo launch system, the Underwater Telephone, the BathyTermograph unit and a Diver Detection Sonar. Finally, MBDA will provide air-defence systems and/or anti-ship systems, depending on the configuration of the PPA. A vessel in a “light” configuration will be ‘fitted-for’ the future installation of missile systems, air defences and anti-ship systems. The Logistic Support Ship supports the logistic requirements of the fleet. It is able to transport and distribute both liquid supplies (fuel/fresh water) and solid supplies (parts, food & ammunition) and perform the maintenance and repair of fleet vessels at-sea. The LSS also provides health services to naval forces at sea via a fully-equipped hospital with operating theatres, radiology and analysis facilities, a dental surgery and an emergency centre which can accommodate 12 patients. The ship’s defensive systems are limited to the command and control of tactical scenarios, communications and non-lethal deterrence systems. The unit is also ready to be equipped with more complex defence systems to become an intelligence and electronic warfare platform. For the LSS, Leonardo will provide its latest-generation Combat Management System. With open architecture, the modular and reconfigurable system will readily accept systems that the customer may wish to install in future as needs arise. The ship will also carry the Leonardo Janus electro-optic system (with a dual sensor head for 360-degree panoramic surveillance), an integrated communications system (including multi-band satellite systems and the new Software Defined Radio (SDR)), an integrated navigation system and an Interrogator Friend or Foe (IFF) system. The company will provide the same 25mm remotely-operated turrets as for the PPA and LHD, the ship’s Diver Detection Sonar and Obstacle Avoidance Sonar. These will provide comprehensive protection against all types of surface ships, divers and related transport vehicles and the ability to dock in a harbour. MBDA missile systems are not expected to be required for the LSS. The LHD is a new multi-role amphibious naval unit. With a displacement of around 25,000 tonnes, the vessel enables amphibious operations to be conducted at long range in the “enlarged Mediterranean”. The vessel can perform in a number of contexts with multi-national forces (joint or combined) such as crisis response operations as part of NATO, EU or multi-national coalitions. The LHD will be able to evacuate non-combatants from foreign territories as part of national or international initiatives, humanitarian operations and in the event of disasters, with the ability to coordinate and monitor relief efforts in collaboration with Non-Government Organisations (NGOs). For the LHD, Leonardo will provide its open architecture Combat Management System, which is modular and reconfigurable and so ready to accept systems that the customer may wish to install in future as needs arise. Leonardo will also equip the LHD with a helicopter approach radar system, a multi-sensor fire control radar (X and Ka Band), a new multifunctional Active Electronically Scanned Array radar with four fixed-face arrays operating in the X-band and a rotating L-band radar for long- range surveillance), Identification Friend or Foe (IFF) sensors and, as with the PPA vessels, the innovative new ‘static InfraRed Search and Track (IRST)’ sensor. The LHD’s integrated communications system will include multi-band satellite systems, the new Software Defined Radio (SDR) and an integrated navigation system. The main armament of the LHD will be a Leonardo 76/62 Super Rapid Multi-Feeding Strales gun. The 76/62 gun is equipped with a radar antenna, which can guide projectiles with a precise beam of radio frequency. This allows the vessel to fire DART ammunition (Driven Ammunition Reduced Time- of-flight) very accurately, reducing the risk of collateral damage. The speed of the DART projectiles, combined with their guided capabilities, allows the 76/62 system to counter fast-moving threats whether they be traditional or asymmetrical. As with the PPA in its “full” configuration, the LHD will be equipped with the Leonardo ODLS 20 decoy launching system as well as the Black Snake towed array sonar and countermeasures, a lightweight and autonomous system for anti-torpedo defence. Leonardo will also provide the vessel’s Obstacle Avoidance Sonar, BathyTermograph unit and Diver Detection Sonar. Finally, the LHD will be ‘fitted for’ potential future air-defence missile systems by MBDA.